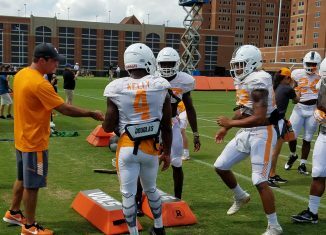 Vols' head coach Butch Jones, running backs coach Robert Gillespie, and some Vol players spoke to the media after Tuesday's practice. 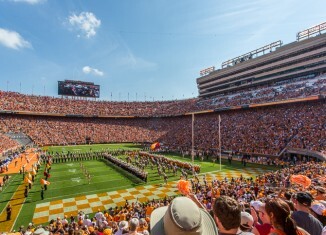 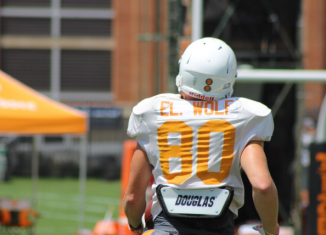 Walk-on tight end Eli Wolf was surprised with a scholarship by Butch Jones during a Circle of Life drill at football practice on Tuesday. 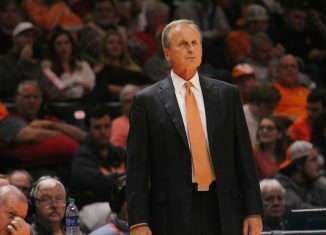 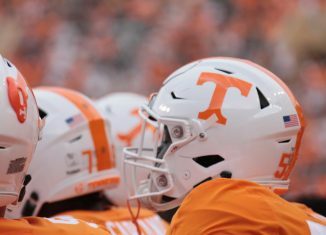 Butch Jones announced after practice that the Vols will be without another player for the entire 2017 season due to injury. 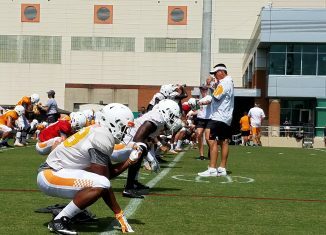 Check out all our best photos from the Vols' fall camp session on 8-15-17. 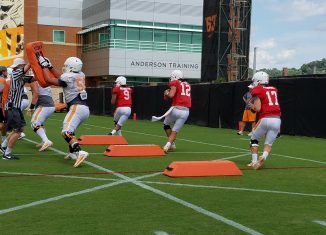 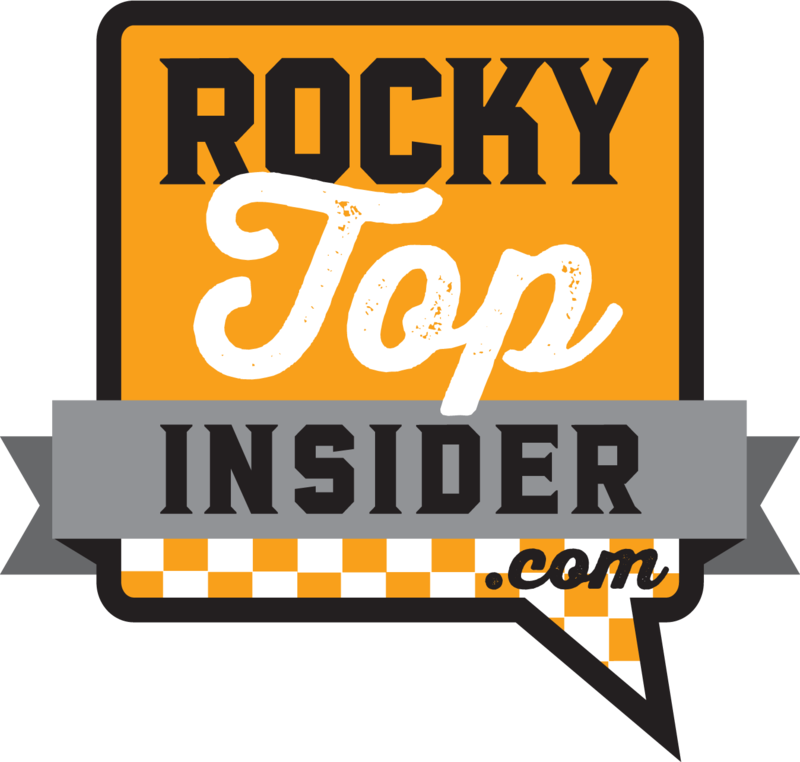 Check out our notes and observations from the Vols' fall camp practice on 8-15-17! 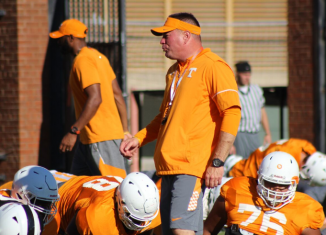 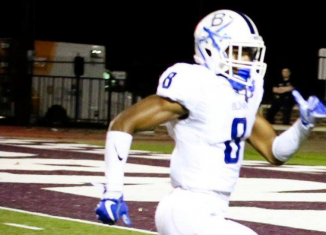 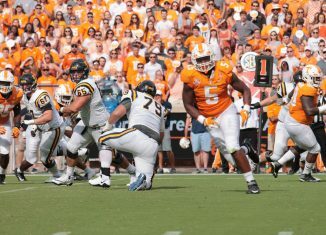 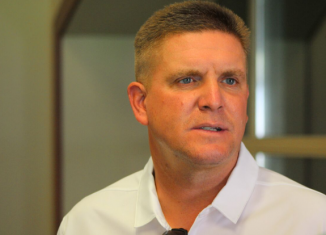 Vol defensive coordinator Bob Shoop has been surprised and impressed by some of the young Vol defensive players this fall. 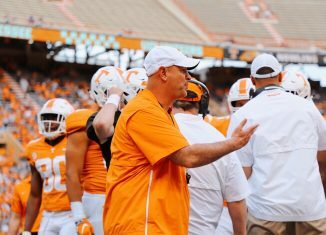 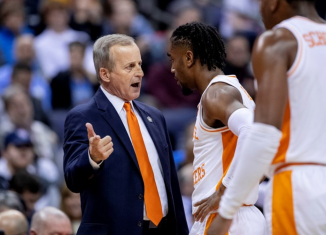 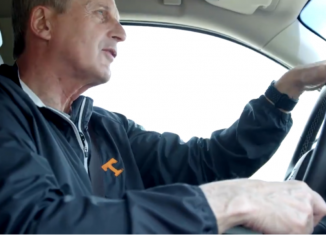 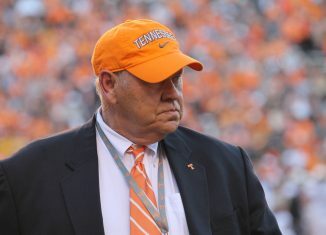 SEC Network's Booger McFarland showed doubt in Butch Jones' ability as a coach yet again, this time saying so on the Paul Finebaum Show.